Kristina Shapran photographed by Nathan Sayers for Pointe. This is Pointe's December 2015/January 2016 Cover Story. You can subscribe to the magazine here, or click here to purchase this issue. A rehearsal for Balanchine's “Diamonds" is getting underway in St. Petersburg, and Kristina Shapran is smiling and teasing her partner, Xander Parish, as she adjusts a belt to protect her sore back. As soon as the pianist plays the first notes of Tchaikovsky's score, however, the Mariinsky Ballet first soloist transforms. Suddenly, she seems to be stepping onstage, her classically beautiful face projecting as if to the back of an auditorium; with luminous simplicity, she embodies the elusive Russian soul, that spiritual quality that the St. Petersburg ballet tradition values so highly. Surprisingly, Shapran's road to the Mariinsky was a difficult one, from St. Petersburg to Moscow and back, with much self-doubt along the way. Her delicate, singing lines are a pure product of her Vaganova training, but instead of entering the Mariinsky straight after graduation, she opted to join smaller Russian companies—first the Stanislavsky Ballet, then the Mikhailovsky Ballet. There, she struggled with loneliness and technical frailty, and it seemed like she might not deliver on her early promise. In 2014, however, Shapran finally found her way to the Mariinsky, and she has been making up for lost time. At 24, she is on the express track to stardom under acting director Yuri Fateyev, who is nurturing her unique gifts. Rather than a powerhouse technician, Shapran is that rare creature in the fairly stereotyped Russian ballet world: a true dance actress. 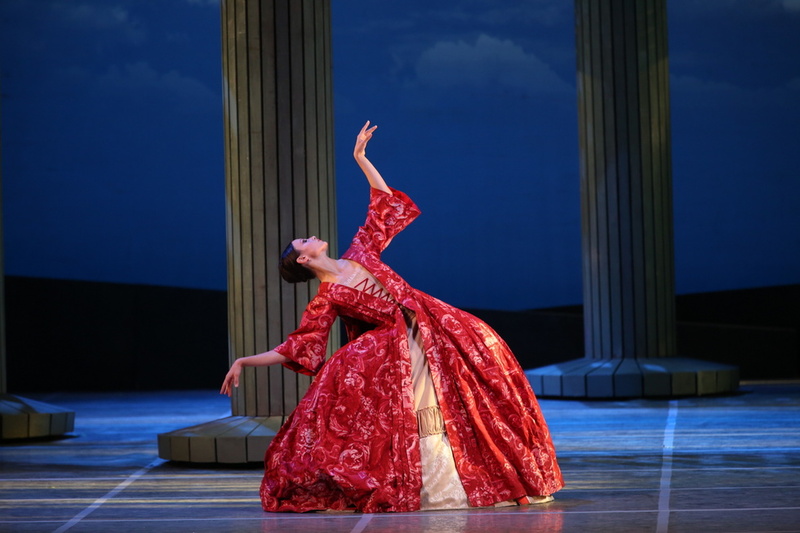 In her debut as Juliet last July, she moved as if free from any constraints, letting natural reactions take their course and infusing the steps with expressive life. Shapran in Angelin Preljocaj's "Le Parc." Photo by Natasha Razina, Courtesy Mariinsky Ballet. Sarah Hay photographed by Nathan Sayers for Pointe. 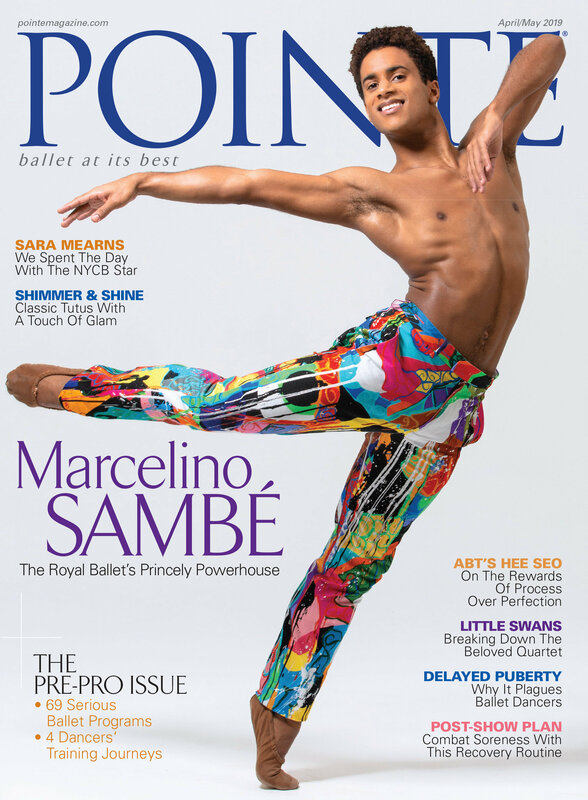 This is Pointe's October/November 2015 Cover Story. You can subscribe to the magazine here, or click here to purchase this issue. On the Starz television series “Flesh and Bone," Sarah Hay plays Claire, a troubled young dancer getting her first big break in a New York City ballet company. With faraway eyes, she listens to music on a dreary train, escaping some unknown horror at home to attend an audition in the big city. Her hands move expertly through a variation as if in prayer. But when her phone rings during her first company class, she finds herself the focus of ridicule. Forced to perform the adagio by herself in front of the company, she sails through it with sharp technique and emotional intensity, making it clear to the show's characters that Claire is a dance genius. Though “Flesh and Bone" is obviously fictional, Hay's natural acting ability comes across as finely crafted as her dancing. It's hard not to imagine that Hay had plenty of source material from her own life to draw on for the role. After a slow career start and battles with intense anxiety and body issues, Hay is now thriving at Dresden Semperoper Ballett as a second soloist. Her extreme vulnerability and emotional honesty, developed after years spent struggling at the bottom of companies, punctuate her highly technical dancing and make her performances on stage and screen so compelling. Now, Hay is coming into her own in front of an audience numbering into the millions, and her future is looking bright. 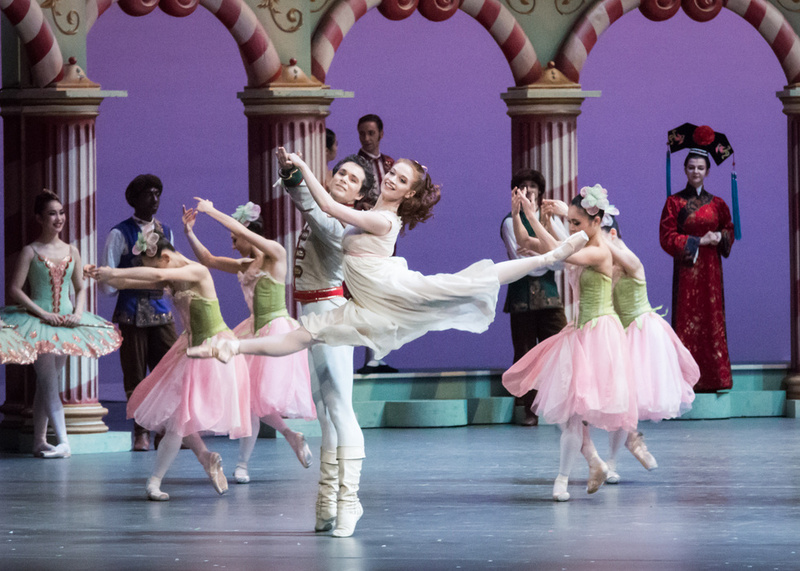 Hay as Marie in Aaron S. Watkin's "The Nutcracker." Photo by Ian Whalen, Courtesy Hay.